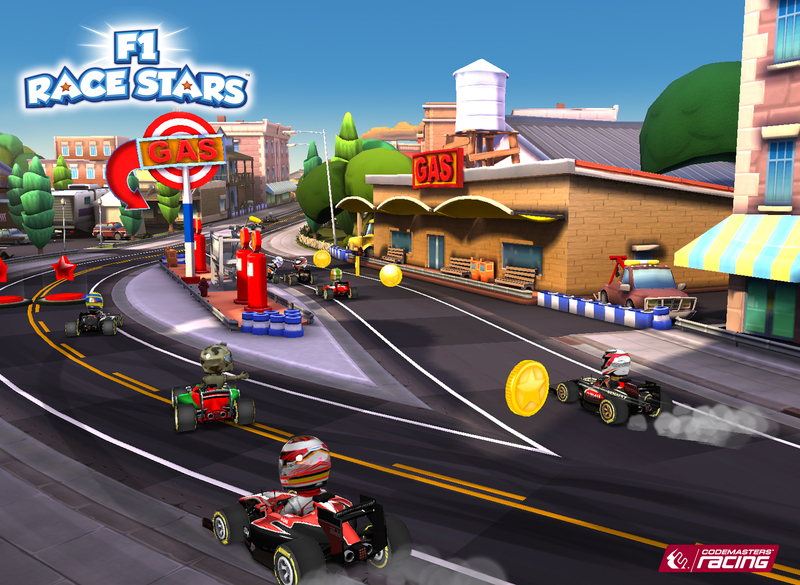 Use power-ups, hit jumps, powerslide around corners and speed through shortcuts as you jostle for position with the cast of F1 Race Stars, available now on the App Store for your iPhone, iPad or iPod. 40 super-charged tracks from 15 Formula 1 Grand Prix locations across the world. Featuring all the cars, teams and drivers from the 2013 FIA Formula One World Championship racing across over 40 super-charged tracks from 15 Formula 1 Grand Prix locations across the world. 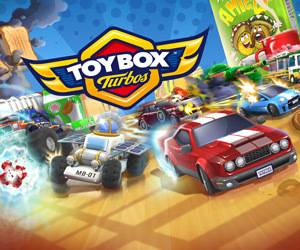 Each track has been designed for quick-fire portable gaming and features jumps, shortcuts and a range of awesome power-ups, including Wet Weather, Homing Bubbles, Safety Car and many more. Using simple touch or tilt controls, handling is accessible, fast and fun – you’ll now be able to build boost by powersliding around corners and then slingshot up the track, slipstream your rivals and hit boost pads to speed through the pack. Race as your favourite driver or as one of many of our new fantasy characters and make use of our new upgrades system to really make your mark out on the track. 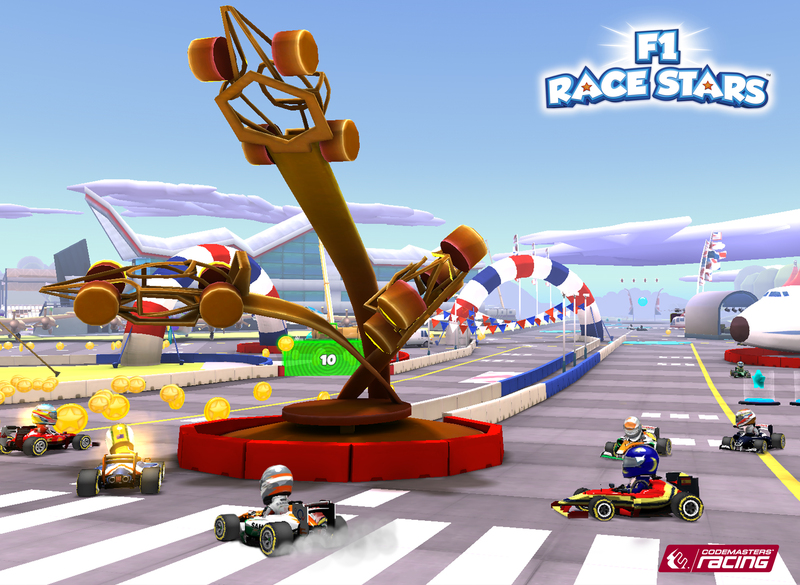 A New Development For iOS – F1 Race Stars’ track design, handling and customisation options are designed to bring fast and fun arcade thrills to racing fans of all ages and is optimised for use on Apple’s latest A7 chip powered iPads and iPhones. Console Quality Visuals – Powered by Codemasters’ EGO Game Technology Platform to feature High Dynamic Range rendering with bloom, full screen post-process effects (blur, distortion, vignettes, anti-aliasing), dynamic weather effects, spherical harmonic lighting and global illumination. Basically, it looks amazing. Official Formula One Cars & Stars – Features all the cars, teams and stars from the 2013 FORMULA ONE season including Sebastian Vettel, Lewis Hamilton and Fernando Alonso. 40+ Tracks To Master – Set at real-world F1™ GRAND PRIX locations, gamers can race over 40 free-to-play tracks. Powerslide around tight and twisty Monaco, speed along a dragon’s back in China or tear up the baseball field in the USA and more! Fast & Fun Handling – Players can powerslide around corners, use slipstream to close the gap and choose touch or tilt, right or left-handed controls and includes support for the latest game controllers. Awesome Power-ups – Unleash the mighty Bottle Rocket to power through the pack, call in a Rain Cloud on the leader, slow rivals with Wet Weather and many more! Fantasy Drivers – Play as your favourite star or choose from a huge selection of fantasy drivers with their own special abilities – including Robot, Ninja, Wizard, Secret Agent and many more. Collect & Combine Upgrades – Players can discover hundreds of upgrades to boost their character’s skills which can be combined to improve and customise on-track performance. Five Race Modes – Players can choose from Race events, Elimination mode, Slalom Gate events, Pole Position sprints and tactical Refuel races. TV Output & Gamepad – Experience F1 RACE STARS on your TV and use your device as a controller with dual display mode. F1 RACE STARS also includes support for gamepads for the full console experience. Multiplayer & Social Support – Multiplayer racing is available via Bluetooth and WifFi and gamers can unlock 50+ achievements with Game Center and share progress through Facebook. Officially Licensed – From Codemasters, the publishers of award-winning, multi-million selling FORMULA 1 videogames, F1 RACE STARS is officially licensed by Formula One World Championship Limited. F1 Race Stars is now available on the App Store and free to download, give it a try and let us know what you think on Twitter or Facebook.